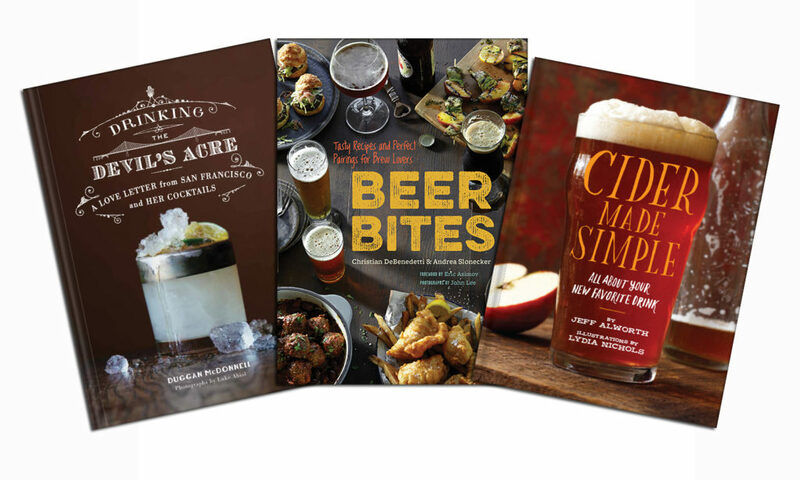 For today’s holiday giveaway, we’re giving away a trio of books from Chronicle Books featuring Beer Bites, Drinking the Devil’s Acre and Cider Made Simple. Beer Bites, by Christian DeBenedetti and Andrea Slonecker, features 65 globe-trotting recipes that go beyond typical pub grub with recommendations of beer styles and widely available must-try brews for each dish. Duggan McDonnell’s Drinking the Devil’s Acre is a history-packed drinking tour of San Francisco. Twenty-five iconic cocktail recipes made famous by the City by the Bay are accompanied by an additional 45 recipes that show the evolution of these classic elixirs, resulting in such contemporary favorites as the Revolver and the Last Word. Jeff Alworth’s Cider Made Simple is a guide to cider that gives imbibers the tools they need to choose cider that’s right for them. Alworth traveled through France, England, Spain, Canada and the United States, asking questions and drinking every variety of cider he could find. Click here to enter! You have until midnight PST tonight. 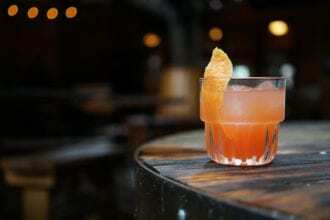 A recipe that shows why tequila and Aperol are made for each other.